After moving to Claremont during the Christmas holidays, classes resumed in January in Claremont Hall (now Sumner Hall). 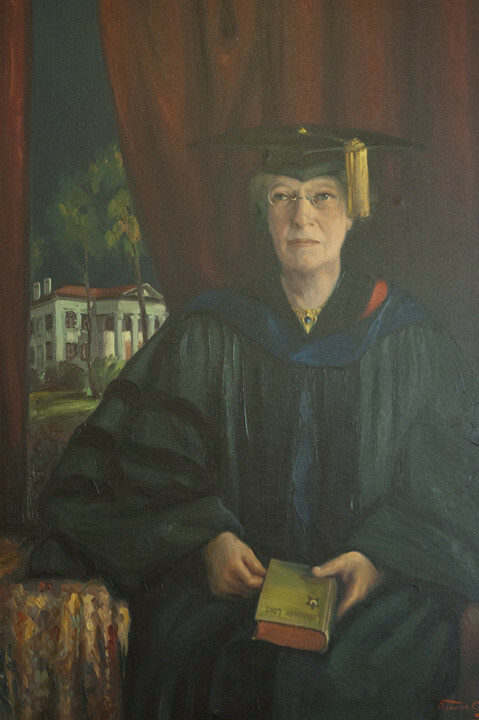 Phebe Estelle Spalding joined the faculty as “teacher of English literature, history, and modern languages,” as well as being librarian and dean of women. A recent graduate of Carleton College, she brought with her 200 volumes to add to the 300 that then made up Pomona’s library in Claremont Hall. She would remain a member of the Pomona faculty until her retirement in 1927. To remove the temptation for students to study on Sunday, Pomona joined the ranks of Carleton and Wellesley in having Monday rather than Saturday as a holiday. 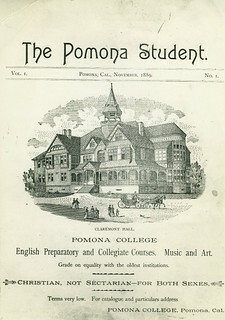 The first edition of the Pomona College newspaper, now known as The Student Life, was published in 1889 as the Pomona Student by two literary societies, the Pomona College Literary Society and the XYZ, which jointly elected the editors. 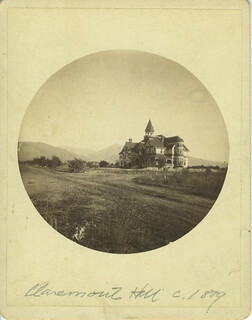 The first editor was David P. Barrows 1894, a senior in the Pomona Preparatory School (students from the prep school edited the paper until 1892). Barrows, who also was editor during his senior year of college, would go on to become the ninth president of the University of California and a major general in the California National Guard. 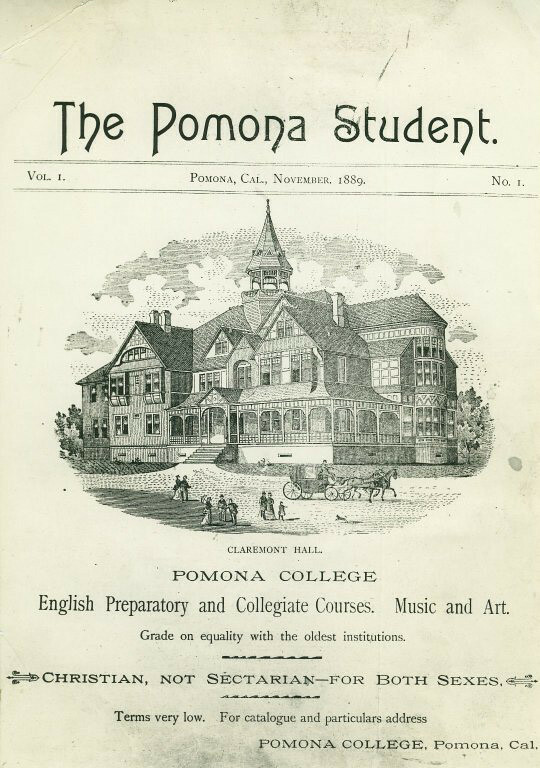 In its first year, the Pomona Student was a four-page monthly; the following year it expanded to a 12-page monthly in pamphlet form with a considerable amount of advertising. It was, however, primarily financed by student subscriptions, which were sold for 75 cents per year. In 1892, it was incorporated as the Pomona Student Publishing Company, a venture designed to overcome the difficulties and numerous typos that resulted from working out of the Pomona Progress office, four miles from campus. The Coca-Cola Company, then known as the Pemberton Medicine Company, was originally incorporated in Atlanta, Georgia. Vincent van Gogh painted Starry Night at Saint-Rémy-de-Provence. Washington was admitted as the 42nd state.